How is commercial management different than residential properties? Commercial management is different than residential properties are different because they have different needs. Although both properties will need to have their parking lots plowed in the winter and tenants pay rent regularly, you go about management differently. Commercial properties typically deal with businesses, not individuals, so you need to keep their goals and needs in mind. What happens if there is a plumbing emergency in my store? We have maintenance staff on hand 24/7 to aid in emergencies like a pipe bursting or a broken toilet. If the emergency is during regular hours, you can simply call your on-site maintenance personnel. We also offer 24/7 emergency service, where you are guaranteed a response in 2-3 minutes from one of our qualified staff. Do you handle pre and post occupancy inspections? Yes. We want your property to look it’s best before and after a tenant occupation. In our pre-occupancy inspection, we take note of any potential problems and work to remedy them as quickly as possible. Post occupancy, we perform inspections to assess any damage the prior tenant may have left behind, and to freshen the space for the next business. How will potential tenants find my property? We have established relationships with both local businesses and reputable franchises, so we can easily find tenants to occupy your spaces. We also perform thorough background checks to ensure a low turnover for you, as well as to minimize the chance of having to evict. Why should I choose J Butler?  You should choose J Butler Property Management because of our extensive experience. We specialize in all kinds of property management, so we’ve done it all. We can handle a variety of services as well. By entrusting the entirety of commercial property management in one company, you’ll never have to worry about making a dozen phone calls to track down the contracter you’re looking for.